Of course, the main prize for any aspiring photographer is to have their work seen and appreciated. Shutterbug gives all photographers, at any level, the opportunity to gain career building exposure within the industry. We believe we are unique in the exposure we deliver for aspiring photographers. What makes The Shutterbug Award so unique to most photography competitions? We have judges from The Photographic Industry at the very top of their chosen fields seeing your work. Your work is shown on the Big Screen to a packed cinema full of photography lovers, VIP guests from the photographic industry and associated media. The 25 Finalists have their work published in a 120 page, professionally designed, hardcover book. Each Finalist recieves one book to keep. The International winner receives two books. Copies of the Book are presented to Sponsors, Judges and Media Outlets. One mounted print from each of the top ten overall winners is put on display at The Archetype Gallery @ The Chauvel Cinema and then at a busy cafe in Sydney for even more exposure. We also negotiate to have the winner’s images in the major photography magazines around Australia. Every photographer that enters has at least one of their images shown on the big screen at the huge Shutterbug Award night @ The Chauvel Cinema and on The Shutterbug Award website. We constantly approach new sponsors as the competition continues, which means there are always updates of prizes on offer. Second Place Finalist - Fujifilm X-Pro1 with 35mm lens. Australia's premier online book publishers, Momento, presented each of the 24 Finalists a 100 page, professionally designed, Shutterbug Award Book with their work included in it. The International Winner was sent two books. The book will also be highlighted on Momento's website. Momento also kindly provided Shutterbug with a further 30 Photobooks for the last event valued at $5000. Alternative Media Group are the publishers of these Street Papers, which are a Sydney-sider’s link to what’s happening in their city. From political updates to what’s on in the Music and Art scene of this beautiful and vibrant city, most of us have seen these papers wherever we are or go online to get it. Chris Peken from Alternative Media has been one of our judges since 2007 and on the Shutterbug Award night he presents two Finalists with the chance to shoot a front cover for one of their newspapers. With a combined monthly circulation of 200,000, that can be a huge opportunity for two lucky photographers. By working with Pixel Perfect, you will join an elite group of award-winning photographic artists from around the world who use us to deliver their amazing images to clients, exhibitions & awards. One of our clients, Reflections Photography, won several prizes in an international photographers’ competition with photographs we printed for him. (See About Us: Testimonials) We promise you the same high level of professional results in all our services. "Buy-n-Shoot.com. Launched in 2001, it has become Australia's first point of reference for photographers of all walks searching for photography news, digital camera reviews and photography tips. The site's success and continual growth has attracted not only the attention of the photographic industry's largest corporate companies but most importantly the attention of photography enthusiasts from across Australia and around the globe." Buy-n-shoot.com will run a feature article on all the 10 Shutterbug finalists with a short description on the photographers and links back to their folios/websites. In addition we will also run a feature article for each of the 3 wishutterbunners that will include a short interview, publish the video of their winning series of work and also include links back to their folios/websites. Editor and publisher of this up market photography magazine is Peter Eastway. He is one of only five Grand Masters of Photography in the world and has won the AIPP Canon Professional Photographer of the Year Award on numerous occasions. To help photographers reach their full potential Peter has produced video tutorials on the art of Photoshop. We have 10 disks to give to our Finalists this year valued at over $1000. f11 is a FREE online magazine presented in a page flip format. Produced in New Zealand, the magazine boasts strong readership from Australia, New Zealand, the USA, UK and Canada as it's core constituency but enjoys fans and subscribers from 60+ other countries around the world. 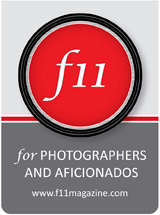 f11 is aimed directly at professional and enthusiast photographers, designers and creative people working with images, and collectors of photography and ephemera. It is deliberately pitched high-end at a knowledgeable and discerning audience, rather than the complete beginner. Readers can expect images of every type and origin, silver and pixels, wet and dry, dark and light, Polaroid and iPhone! f11 is completely technology agnostic, the pictures rule. The Archetype Gallery 'Concept Spaces' are pop-up style galleries that promote the professional exhibition of art in alternate venues, or venues that are outside of the standard gallery, and expose everyday people to professionally presented contemporary art. There are several locations in Sydney and each space is linked via a central theme to provide a wider experience. The artists are local and internationally based and The Archetype Gallery ensure the works are interesting, collectable and affordable. Look out for The Archetype Gallery via their signature gold frames and check out their website for details on exhibiting and purchasing art. Shutterbug Photography Festival wouldn’t be possible without the help of our sponsors so please show your appreciation for their support by clicking on their logos to see what they have to offer you.